» Restored and awarded StuG.III Ausf D is looking for a new owner - It belonged to Erwin Rommel's fabled Afrika Korps !! It's a of the three Ausf D vehicles which were sent to North Africa and saw service with Sonderverband z.b.V 288 - special deployment unit. This unit was a Kampfgruppe formed from Arabs and Germans who had lived in Africa for service in Iraq, however the Iraqi rebellion failed. So Sonderverband Kampfgruppe 288 was sent to North Africa. Not being used for it's intended purpose, it was re-organised to be more suitable for use as a conventional combat unit. During the Gazala Line battles the 288th saw action supporting the Italian Ariete against the French forces defending Bir Hacheim at the southern tip of the British defenses. They also participated in the El Alamein battles, and the last of their StuG.IIIs was left behind for the British to contemplate. So, this Stug III Ausf D, chassis number 90678 was captured by the British in El Alamein in North Africa and was taken to the UK for tests and study. 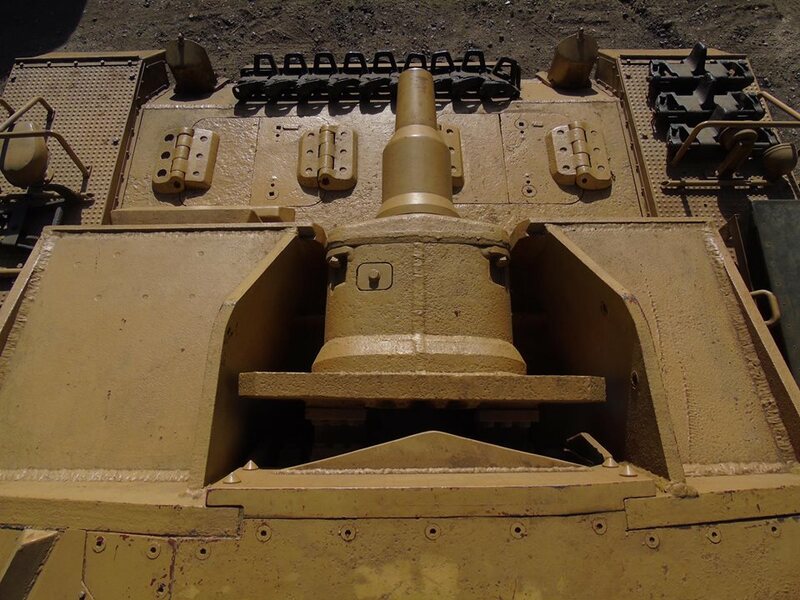 This tank was recovered from the Pirbright fire range in UK, and was then part of Kevin Wheatcroft collection. Jon Phillips acquired it and has collected almost 100% of the parts necessary to complete this restoration project. It's been a restoration project that he was salivating over for quite a while. Jon finally got the plaudits on such a superb restoration. The fabrication, obtaining and importing genuine parts was no doubt a very frustrating and expensive business for him, Military And Historical Explores reported. It has a Rolls-Royce multi-fuel engine and Allison gearbox and FV432 steering box, but drives and steers perfectly, the rest is virtually all original. The original final drives have the correct shafts still in place, should the new owner wish to fit an original steering box, engine and gearbox. It has won many awards, The presitgious Milweb Award 2016 for the most outstanding vehicle at War and Peace, the Best of show at War & Peace show 2016, and Combined Ops 2017 plus various other awards, too many to list! It was also, star of the show at Militracks 2017.